Prvi Partizan, one of the largest modern ammunition companies in the world, is in Užice, Serbia. The company is best known for supplying ammunition for the Serbian military and police forces. Also, manufacturing quality sporting and hunting loads, Prvi Partizan ammunition is currently sold world-wide and is available for civilian use. 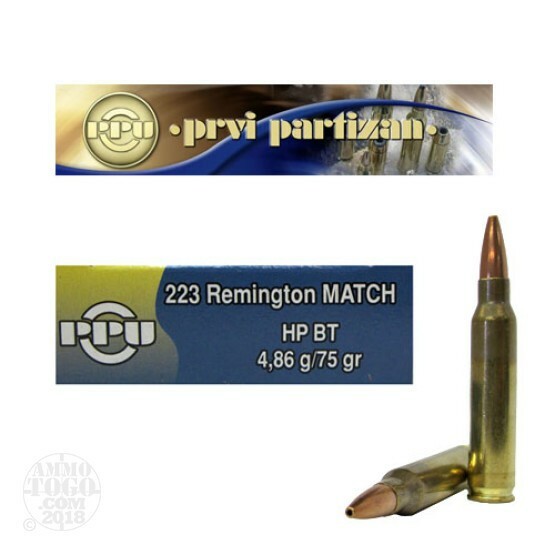 This package contains 20 rounds of Prvi Partizan .223 Remington ammunition. Each round is loaded with a 75 grain match grade boat tail hollow point projectile. Delivering surprising long-range accuracy, though designed for precision shooting at both short and long distances, these loads work well for everything from serious match competition to casual backyard plinking. 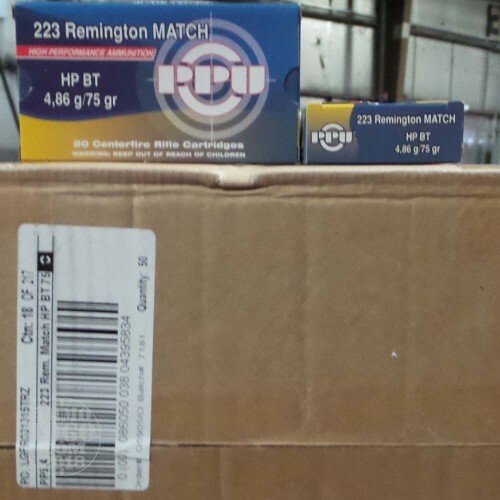 This ammunition is new production, boxer primed, non-corrosive, and features reloadable brass cases. Leaving the muzzle at a velocity of 2723 feet per second, these rounds produce 1234 foot pounds of muzzle energy. I would buy this again, but only for my second M & P.